Is it worth 30 seconds of your time for a chance at world-class brain protection? 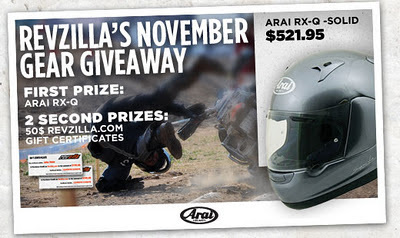 If so, click here to enter RevZilla's Arai RX-Q helmet giveaway ($521.95 value). RevZilla $50 gift certificates will go to two Second Prize winners.